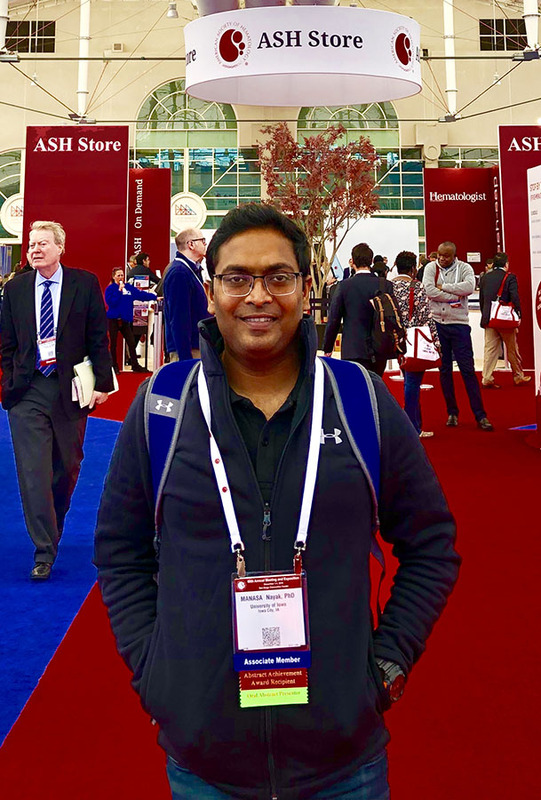 For the second year in a row, Manasa Nayak, MsC, PhD, received an Abstract Achievement Award at the American Society of Hematology (ASH) annual meeting for a presentation submission. However, at this year’s ASH meeting—its 60th—in San Diego earlier this month, Dr. Nayak’s abstract earned an additional prize. 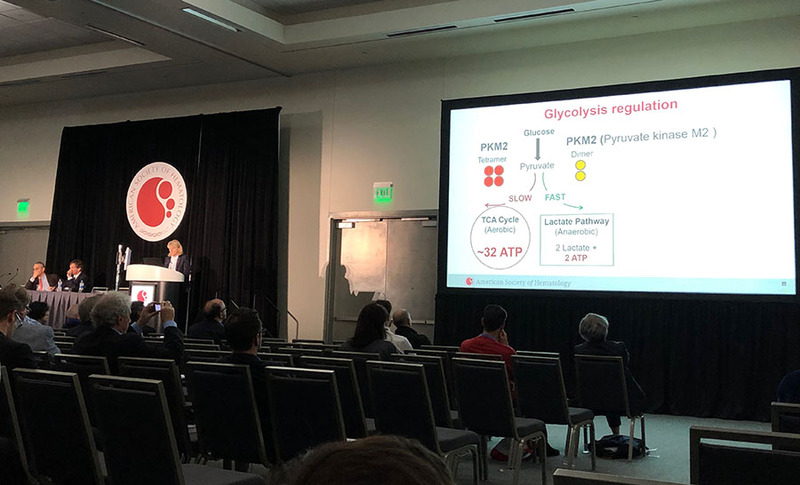 His abstract, “Manipulating Plasticity by Targeting Pyruvate Kinase M2 in Platelets Inhibits Arterial Thrombosis,” was selected for presentation in an oral session and published in a supplemental issue of Blood. Afterward, Dr. Nayak said that he appreciated interacting with scientists whom he had long admired. They offered praise and helpful suggestions as to where his research might go next. Dr. Nayak’s presentation was then selected for inclusion in the Best of ASH presentation, which concluded the symposium. Dr. Nayak and his mentor, Dr. Anil Chauhan, got to watch as Dr. Nayak’s research and findings were discussed for the entire assembly of conference attendees. “It was quite an honor,” Dr. Nayak said. “The room was full of attendees, so it was nice to have someone else tell them about my work.” Karin Hoffmeister, MD, Brigham and Women’s Hospital, Harvard Medical School, was the one who presented Dr. Nayak’s work. His presentation describes results from the same work that earned him a postdoctoral fellowship from the American Heart Association earlier this year. Congrats Manasa. Still, a long way to go.